Vader Streams is online Internet Protocol Television (IPTV) service introduced in 2018. It’s become one of the most popular IPTV streaming services today due to it’s affordability and ability to use a single subscription license on up to 5 different devices. At this time, Vader streams offers over 1000 HD channels including some of the most popular United States channels – ESPN, Food Network, Cinemax, MTV, HBO, Starz, Showtime, Epix, NFL/NHL/MLB networks, TNT, Discovery, AMC, History, Comedy, Bravo and many more. Vader also offers U.S. regional channels (major city networks Chicago, LA, Atlanta, Miami, NY, Dallas, etc.) for ABC, CBS, FOX, and NBC. Finally, Vader offers channels outside the US including Canada, UK, and others. To view a current list of Vader stream channels see this link. 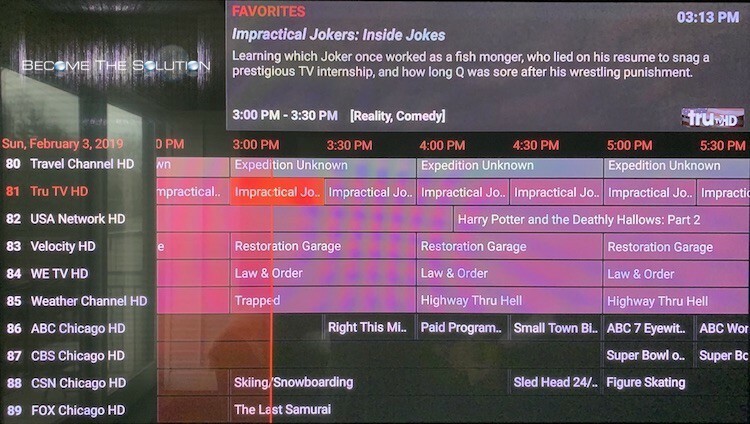 Vader streams is one of the only IPTV services to use an Electronic Programming Guide (EPG) to display all channels in a guide list, just like Cable TV providers do. Vader also includes catch up and recording so you can re-watch shows that aired previously. For best stream performance, Vader is recommended using a minimum of 15Mbps Internet connection speed. *EPG guide so you can sort all channels like a regular TV guide. It’s fast too. Even though the Vader Streams service is relatively new, it continues to maintain a reliable service at a very affordable price. Visit the Vader Streams store to signup.